Unless all of your freelance gigs have miraculously fallen into your lap (and I’m seriously jealous if that’s the case), you’re probably aware that it takes some serious hustle to get regular work. Once upon a time, finding new clients involved cold calling, something I still shudder to think of. Thankfully, this isn’t standard practice anymore. Introverts, rejoice! You may have seen the term “LOI” floating around, and that’s what I’m here to talk about: your Letter of Introduction. 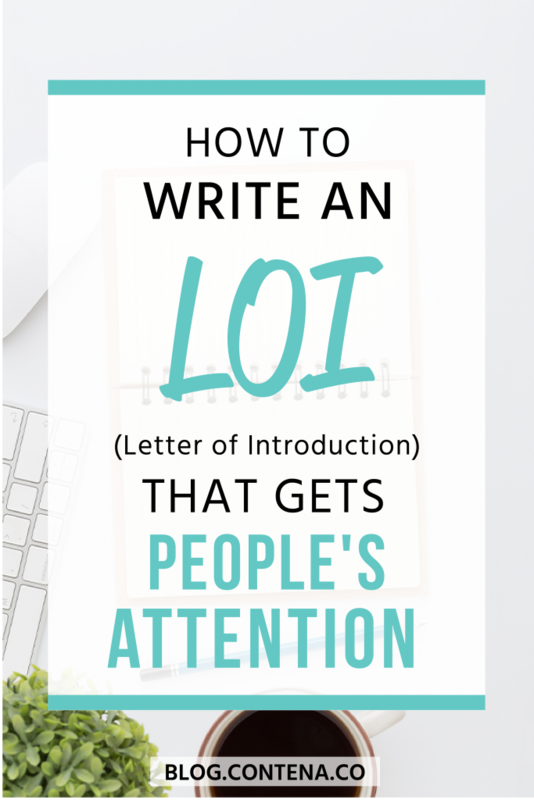 Think of your LOI kind of like a cross between a cover letter and a resume–you want to introduce yourself to the prospective client, who has no idea who you are, and explain to them why they should reply to your email. You read that right. I didn’t say you should explain why they should hire you, I said why they should reply. A letter of introduction is just that–a method of introducing yourself. It’s not a Letter of Hire Me Today, because most business owners will want to learn more about what you have to offer and how your talents can help them. This first communication needs to be where you knock on their door, they open it, and you stick your foot out to prevent them from closing the door right away. It’s where you give them a reason to keep reading and find out more. Sounds super easy, right? Maybe you’re a natural at marketing yourself, so this type of thing is easy for you. Coming up with clickbait titles is a talent when it comes to writing articles, but it’s simpler with emails. Let them know why you’re reaching out before they open your email. Is this an agency that only assigns things in-house? 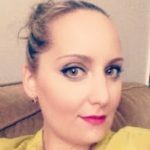 Have you been to the company’s blog and noticed there are no new posts in the past six months, or that there were spelling errors all over the place? Mention these things in your letter. Nobody wants a cut-and-paste, impersonal email; give them a reason to pay attention to you. Show them why they need you. If you have written content in this company’s niche, put that up front. If you’ve written articles or essays in an adjacent niche, make sure to include that as well! All of my past experience writing about parenting would make me an ideal candidate to create content for a company that sells baby toys or breastfeeding supplies. The same goes for you. But maybe not about the breastfeeding supplies. Lay down a list of the companies you’ve already created content for, regardless of whether they’re in this company’s niche or not. If you’ve got a few big names, include them. It gives you brand recognition. If you’ve worked less in content marketing or copywriting but more in publishing, drop your bylines. You may only have experience working with two small companies for content marketing, but if you’ve written for The Washington Post or Vice, it’s clear to everyone that you can write. While it can be tempting to include your entire CV in your LOI, you need to remember that the business owner, marketing director, or agency director who’s opened your email has another 50 emails to read after yours. If you can’t get to the point quickly, that email is going to get trashed before they’ve finished reading. Try to keep it to two short paragraphs, or six to seven sentences. If your prospect has gotten to the end of your email, don’t direct them toward a portfolio, give them a few specific links. It’s overwhelming to be faced with a portfolio that has 30 links to various pieces of content, and they’ll be less likely to click on anything. Finish off by telling your prospect that you’ve included a few links to relevant articles you’ve written, as an example of your writing. This sounds time-consuming, and it kind of is. Nobody wants to get a generic email from someone who wants to be hired. Hunt down the person who’s best suited to look at and respond to your email, and send your LOI to them. Highlight the niches in your experience that match up with this company. Creating an LOI that will make an impression isn’t rocket science, but it does take a bit of effort. The payoff is worth it! You’re finding clients in your desired niche, or getting to work with the boutique agency you’ve been eyeing for months. And, ultimately, creating the freelance life you’ve always wanted.